While I do agree the Steelers have "reached" at times [i.e. Burns/Edmunds (Dupree wasn't a reach)], if we made a list of which NFL 1st Rd picks didn't "live up to the hype" it would rival the thickness of a Bible. I agree but for a team that claims to be among the elite in the draft, we dont draft like it. I'm not a fan of judging players based on what round they are picked in. Judge them based on how they develop. this is where the draft slot is only part of the equation. AB was RD6 and worked diligently and is HOF bound. Jarvis was drafted RD1 and had no work ethic and was a flop. Then some players just don't have the skills to justify their RD1 slot and it's proven over the course of a 3 or 4 years. Our coaching might not be as good as it could be at OLB and CB but as it is, I am not seeing progress there and am expecting a coaching change in the winter. If Kevin Greene is available, then he is our OLB coach. For CB's , why not bring Woodson back as well? So what is a elite drafting team look like? Do they pick well enough that they haven't picked in the top 10 for 18 years? Have they drafted well enough while playing a franchise QB for 12 years to not have had a losing record in 11 years? The draft is a crap shoot. There is no such thing as an elite drafting team. Steeler fans are spoiled and have not had to deal with losing crappy teams in over a decade. All teams go through peaks and valleys.The Steelers have kept the peaks long and the valleys short. Not many fan bases can brag about the sustained success of a team for so long in the NFL. I actually agree with you. The reason i have the attitude i do about it however is the unwillingness by Colbert and Tomlin to just admit they have to do better. That part doesn’t even bother me to be honest. Its the unwillingness to take risks. So many safe picks. Not putting enough in to move up. Never moving down. We always take who’s “expected”. There’s a stubbornness that no other team shows with the draft that their board is it and that’s what we go by. I think the DB SCOUTS have failed. The SCOUTS at a high level are family friends of the Rooneys. I think they need to be cleaned out. If you go to wikipedia and look up conservative, risk-averse management and decision-making, The Pittsburgh Steelers logo is there. Colbert ultimately has the most say if that makes sense explain, because for me it doesn't. I would say the Positional coaches and HC should have more say, and the GM would be the number cruncher for contracts more than the final say in who we draft. Our scouts might actually be good, then veto power steps in and says "draft jarvis, he went to a major program and had a successful NCAA career"
Here is how I understand the system to work. The Steelers, like all NFL teams, use a scouting service. They collect reports on hundreds of players in their regions or conferences. They send those reports to the regional scout ( who is a Steeler employee). The Regional scouts are the ones that the coaches talk to for what they are looking for. The Regional scout filters out what they think the Steelers would like and send those to the Scouting director. He sits with Tombert and coaches to narrow that list down to about 350-400 players. I am fairly sure I am missing a level of filtering in there but I can't think of the level. 2). Rules changed. It's becoming harder and harder for a defense to stay elite for a long time. The defense now is mostly a "stop-gap" phase in the game, it almost has the same functioning as the special team and the NFL management has a lot to answer for. I mean, for crying aloud; the "elite defense" of Jaguars last year was scored on for 42 points, Seahawks had teams scoring thirty points on them in 2014, and the list goes on. If there's one successful defense in the NFL that has a really good model that could thrive for years long- it's the Patriots. They compliment their roster with veterans, they don't really draft well. Perhaps we need to do that, signing high-caliber players for 1-2 years and find somebody else next. It works well for them. 3). We have NO playmaker that made the Steelers defense what it was; Troy Polamalu is what made LeBeau's defense. In the 90's it was Rod Woodson. We had Shazier who may have came close to it, but no cigar- and that he got hurt, we are scrambling to find the guy. 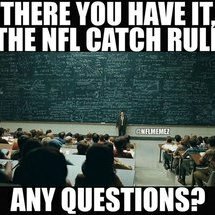 It's really hard to find that player; regardless of where you pick at, especially with the rules changing which translating to possibly more injuries due to the lack of techniques (less padding practices) and physicality (when you hold back while tackling somebody, you are likely to hurt yourself). 4). While yes, a draft is a crapshoot because we have more and more role players rather than a full-time player in different positions except for the offense. Our defense is too new to evaluate at this point, Sean Davis is quietly having a decent year at free safety as he is an intelligent player we need. Terrell Edmunds may be the playmaker at safety position although it is too soon to tell, drafting cornerbacks always had been a struggle- which is why I would much rather draft certain role than trying to find somebody a full-time. You draft cornerbacks that specialize in either man on man, zone (arguably this is a Nickleback role), or press. Then switch them up depends on the scheme and match-up, the reality is this is our future. Jon Bostic and Vince Williams both are almost interchangeable as they are intelligent players, so the only remaining that's missing is a playmaker at inside linebacker. Depends on how we feel about M. Thomas- I'd say look for somebody within this position, perhaps Devin Bush or draft a top 3 cornerbacks at PRESS coverage, not a man on man coverage. 5). More of a correspondence to my #4- I know people said Artie Burns need to go- but is it really his fault? He's a man on man cornerback where we switched up to more press/zone coverage because of Joe Haden. In a sense- Butler is at the fault, what will happen when Haden does retire or walk away? Do we go back to the man on man/zone? Or do we continue doing a combination of press/zone with other player replacing Haden? We need to decide this soon because Burns is going to be a waste- not at the fault of his but our own. Which bring me to my top 3 prospects for the draft... I know too early, but I got a feeler here. 1). Amani Oruwariye, CB, Penn State. 6'1" 203 lbs. Ideal Press/zone cornerback could replace Haden. 2). Devin Bush, ILB, Michigan. 5'11" 232 lbs. Despite his size, they couldn't stop him. Unlike Shamarko, he has displayed the intelligent playmaking ability. He can make plays and when he can't, he takes himself out by doing else. I like that, allowing the other defensive players to make plays. 3). Chauncey Gardner-Johnson, S, Florida. 6'0" 207 lbs. It's going to be really difficult finding that athletic linebacker we want- it may be easier to play Edmunds at an LB/S role than looking for one, which allows us to employ three safeties at once. Chauncey Gardner-Johnson whom I really like as our strong safety. Very instinctive and athletic. I do really like Devin White, but like other inside linebackers within his predigee it's almost impossible for us to get that guy unless we trade up, which I don't think the Steelers will ever do. I do hope they do though. 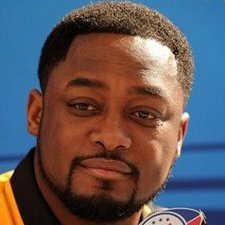 There were two coaches who said 'off the record' (I've heard it was BB and Tomlin), that said the way to play defense in the modern NFL is to play for the turnover and defend the goal line. Playing real defense is dead. this sounds about right. Who cares about defence if the league is making rules for 50 points a game per team anyways. Who will even want to play D in 10 years time anyways ?